From Mattel, here we have the 1:55 scale diecast of Mater with Oil Can! This variation of everyone's favorite tow truck was released in 2009/2010 in the "Final Lap" lenicular eyes series (#130). He is a "Chase" edition, which means he was harder to come by back in the day (though nowadays, he's very easy to find for cheap online). 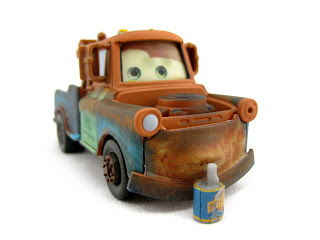 As shown in the screenshot above, this version of Mater is based on the hilarious scene in Cars when he spits out his oil and exclaims, "He did what in his cup?!" This diecast really captures that moment well (and even comes with a movie accurate oil can accessory to help recreate the scene). 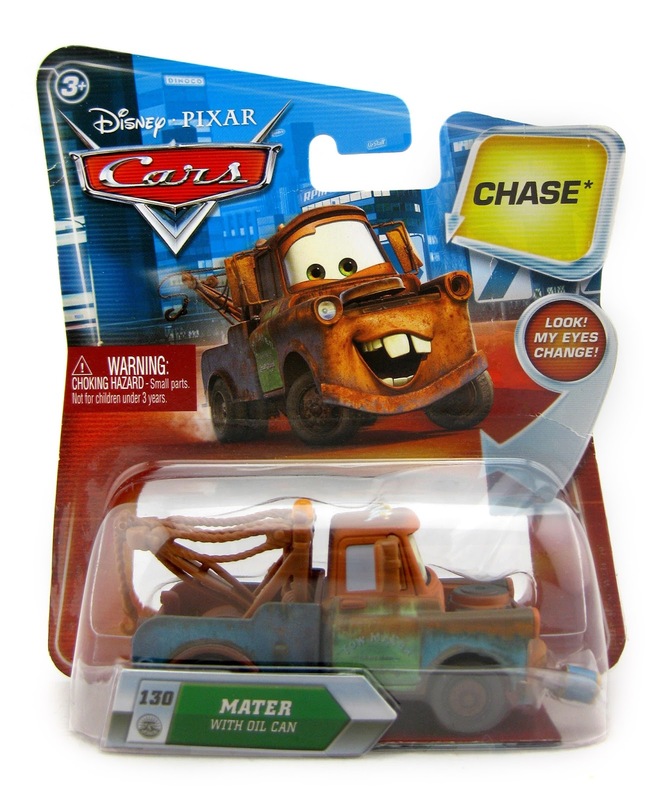 Looking to add this Mater to you Disney·Pixar Cars collection? Find it on eBay HERE (link to current listings) or on Amazon using the direct link below.